There has never been a better time to consider a career in training and development. As the complexity of our world increases, so does the need for those who can design, deliver, and direct the process of knowledge acquisition and management. According to O-Net, a repository of occupational information developed by the U.S. Department of Labor, the job outlook for trainers is bright. 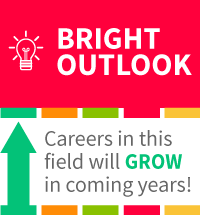 “Bright Outlook occupations are expected to grow rapidly in the next several years, or will have large numbers of job openings.” According to the Occupational Outlook Handbook, the career opportunities in training and development are expected to increase by 11% over the next decade, demonstrating the high demand for experts in workplace learning in our knowledge economy. Many are drawn to the field of training because they want to have a direct impact on the lives of others. Creating opportunities for learning and development can have a positive and lasting effect that translates to increased job satisfaction, earnings, opportunity, and quality of life. The skills required of trainers can be applied in any industry; Fortune 500 businesses, healthcare, government, non-profits, and education all need the skills of a learning professional to elevate the performance of their constituents. Some enter the field because they seek a creative outlet. Instructional designers use their knowledge of learning, cognition, and technology to craft innovative ways to deliver learning applications that get results. Many in the field enjoy the necessity for continuous learning to stay up-to-date on the latest innovations in learning and technology. Careers in training also provide almost unlimited options for reinvention. Some may begin their career as an instructional designer, translating learning objectives into curriculum and programs, then move into delivery, using face-to-face or virtual tools to facilitate learning experiences, others may focus only on technology, creating e-learning solutions, or choose a management track that leads to the C-suite. Those with an entrepreneurial spirit can form their own consulting firm or join an existing firm. Some individuals specialize in a particular industry—healthcare, finance, or technology—while others work across sectors. If you seek a career where you can: make a positive impact on the lives of others, utilize creativity and design skills, benefit from career progression and mobility, and experience continuous learning and challenge, then training and development might be the field for you. 1. What aspects of the field of training interest you? 2. Which specific areas of opportunity in the field of training do you feel are most likely to grow? Why? All the reasons the post author gave for “why many are drawn to the T&D field” resonate with me and hold true for me. My passion is for helping people at all levels at an organization develop themselves. I also have a creative side to me that I do not get to utilize often and I would love to work in a career where I can tap into my creativity and have it benefit others. Training and Development as a career checked off all the things in a role that motivate me and give me purpose. I think we are all born with certain traits and innate talents that every job doesn’t allow us to utilize or develop fully. I hope a career in T&D will unlock my full potential and will enable me to use my natural gifts as well as all the learned ones I have fine-tuned over the years with the various roles I have held. 1. Change Management: I have learned in my Organizational Development class that Change Management is ever-evolving and is a growing need at companies, so having a practitioner skilled in this area will benefit the organization. 2. Instructional Design: I know from advertising that the way people consume media/information is also changing as technology advances and consumer preferences change. I think this can hold true for Training & Development as well. The way employees consume information is changing, and we as field experts are getting smarter at designing and delivering information in a way it will be retainable. This could be e-learning or microlearning tools; technology is advancing so; therefore, our delivery tools are also improving. 3. T&D Practitioners: I also think Training & Development as a resource area of expertise is a growing area of interest at companies. Companies are starting to realize that investing in employee development is a way to retain top talent, increase productivity which in turn affects the bottom line positively. I think when we had the recession in the early to mid-’00s, companies backed away from this area and were forced to operate on a leaner staff, but the times are changing – and for the good! In conclusion, our society as a whole is moving away from human interaction to one that is more virtual. Every sector is moving toward fewer humans on the job and more automation. I think Training & Development delivers a critical component of “human touch” that is needed and appreciated in the area of performance improvement and one that cannot be fully replicated by technology. I found it very interesting that the career in training and development is booming more than ever. I recall a time in the past where it was a challenge for some facilitators to get started in this field but I am honored to be in this direction. This let’s me know that I am truly in the right place in my career right now. So even if I ever move to a new corporation, I would be able to still find a talent in the T&D field at another company. Especially with the world transitioning into more of an AI and technology style of career advancements its a blessing that the there would still be a need for Trainers to ramp learners up for this technology boom. Robotics is a great field of work, however, we still need the trainers of the world to give and provide the experience in learning these new techniques. Not all employees are millennial, and from this article it shows that we all need to have the training field to grow the culture of all companies. There is not just one aspect of the field of training that interests me. Whether I’m designing instructional plans, developing curriculum, or facilitating classroom-led or virtually-led training, each one satisfies my passion of why I chose the field of training and development. I specialize in Organizational Effectiveness and Training and Development through People and Process Improvement. This allows me to help individuals achieve their professional or personal development goals through education I either design, develop, or facilitate. The biggest opportunity for growth within the training and development profession will most likely be those learning platforms supported and delivered using technology (social media outlets, podcasts, adaptive learning modules, microburst learning videos, artificial intelligence). There will always be a need and demand for traditional classroom led training, however those costs associated with this method of delivery will far outweigh the return on investment for any given organization. Technology platform-based training programs provide a viable option for organizations to continue to invest in the professional development of their employees to mitigate risks and expenses associated with employee turnover, poor morale, revenue and customer losses, and compliance infractions. Technology, Social Networking, on-demand and adaptive e-Learning, and virtually-led training programs is the modern-day vehicle of how people like to interact, engage, learn, and communicate today. It’s no surprise by the surge of technology resources, gadgets and applications being invented and released for public and private use. This will be the new gateway of accessibility, convenience, and instant gratification. It has gradually replaced traditional in-person means of interaction, engagement, learning, and communication. The use of technology, social networking, on-demand and adaptive e-learning, and virtually-led training programs provides access to get any information when you want it, where you want it. No longer does anyone need to wait to sign up for a classroom learning event, receive communication by way of “snail mail”, or depend on in person networking opportunities. When designed and developed correctly, engagement and interaction with others, and knowledge learned and transferred back into the workplace when using technology-based learning platforms can benefit the same as they would in an in-person classroom-led training setting. Design and facilitating training classes is what interest me. I feel as business needs change so should the training. I feel employees should be updated on new information and given proper time to learn and implement the new process. Trainers should also learn how to adapt to their participants because not everyone learns in the same way. 2. Which specific areas of opportunity in the field of training do you feel are most likely to grow? Why? Design training will be the area we will see more growth. This specific area allows people to become innovators and trend setters with changing how things are being taught as well as learned. I am what you call the “accidental trainer.” I started working in a bank in an operations department after college and I was introduced to the field of training over 20 years ago from a colleague. My original plan was to go to Law school after college, but once I had the opportunity to use my creative skills to create training material and teach adults how to learn different computer programs and software, I loved it. Just as the article indicated, I wanted to make an impact on other’s lives and an organization’s bottom line. So, I really enjoy learning new things and seeing others learn too. I must say this was an interesting article. I was a little surprised to hear that the field of training will grow in the next several years. Training departments are always the first to be cut from the budget and many organizations will outsource the need for training. I know this from personal experience, as my former company laid off my e-Learning team and decided to outsource. So, as for the specific areas of opportunity of training that I feel will grow, I see the need for more instructional designers/trainers to continue to build more e-Learning and bit-sized learning. Employees will need access to these types of online, easy-access courses as technology continues to change and grow. Training and Development is a field I became interested in when I worked for a company where training was non-existent. I found myself trying to figure things out with lack of direction. This is definitely a field that is growing and much needed in several companies. Some companies look for employees with critical thinking skills, which is a beautiful trait to have, however proper training and development still needs to take place. I think the area of designing and technology will thrive because technology is the new wave and designing proper material for classes/on the job training will ensure the employee is given some of the proper tools to succeed. Training to me is an ongoing process that no one ever escapes. If we have to consistently continue to grow within our own fields and areas of study, why not have some meaningful training. One of the most difficult things I see in my daily work are those that struggle to meet the requirements of their continuing education requirements. When someone has to complete a certain number of hours annually, I find them too often becoming disengaged and feel forced into learning. This is aspect that I want to improve. Training should be something that an individual enjoys and gains additional knowledge from. I believe eLearing will continue to grow and expand across the world. People want to have immediate access to their education and more applications are being developed daily to assist with our mobile learning lifestyle. To me, the absolute best part of training involves identifying needs and creating solutions. Sometimes, a simple job aid can make a workflow easier and improve the customer experience. Instead of accepting the status quo, a trainer has to think how can I make the situation better: improve processes, leverage technology, create documentation, design instruction, etc. However, before improving anything, trainers have to collaborate with users and colleagues to better learn, understand, and even experience their challenges. Adapting effective and innovative workplace solutions will propel the training field into the future. I’m just learning about the field. I’ve not had the pleasure or the challenge of working it this profession — YET! But I’m coming. The aspect I’m most drawn to is being a part of creating opportunities for employees to grow in their skills and ultimately their value to the organization. I’m thrilled to know that the tide is changing and organizations are seeing that T & D is necessary to remain competitive. When an organization understands that the employees are typically and willing to improve their skill set, all the stakeholders benefit. That’s the kind of positive impact I want to be a part of. I must say, I very much enjoyed reading this blog post. What a relief to hear that the very field I am investing much of my time and money into right now has a vast opportunity in regards to job outlook in the future! In one regard I am surprised by this article. Often we hear that because of budget cuts the department for learning and development are the first to go in many organizations. On the other side, I am not surprised that an increase in jobs are predicted in the TRDV Industry in the future. After all, I consider instructional designers the “engineers of learning” we invent training to meet the needs of an organization. 1. What aspects of the field of training interest you? The aspect of training that interest me the most is identifying crucial aspects of a job that are essential to job success and translating the knowledge for others to use, talk about, and improve. Translating the knowledge for others to use helps everyone better understand the purpose of the job. Talking about the job brings clarity and purpose to the job. And Improving training helps the program to stay relevant and benefits everyone. I love the opportunity to be innovative with training. Thinking of new ideas to explain material to a group or an individual that teach someone a concept that they have been struggling with in the past is extremely fulfilling to me. I also love the ability to be autonomous and direct my own work daily. It would be amazing to be able to focus 100% daily on just training with the freedom to be creative and thorough at the same time. I would still like to be able to grow more in e-learning. I have now dabbled in e-learning and think I could do really well with it with more time to focus on developing those skills. Face to face; I love it when a student or group of co-workers get it after one of my session. I have been told that when people take one of my classes they are fired up to do more and perform better. It makes my day when someone comes up to me and say they can do their job better because I took the time out to show them the way. On-site or e-learning. I like to have students engage more and bring out more dialog. I have always been a people person and I have been told that I have a gift to gab and I’m passionate about sharing knowledge so training and development is the perfect field for me. The aspect of training that interests me is being able to identify and meet the needs of my audience so that they feel supported, motivated, and empowered. I feel e-learning will most likely continue to grow because it’s cost effective and learning can happen anywhere (on-the-go). My drive to develop others in my current work field is what initially drove me to wanting a career in training and development. I enjoy providing others with my knowledge, insight, and feedback which can potentially help them with their long term goals. Another reason why I enjoy the field because I get to make connections with different perspectives and wisdom that helps me with technique. Training and Developing others is really a fulfilling job, every aspect of it makes me want to continue to evolve as a person to help others enhanced their skills. Training & Development is a second career for me. I’m most interested in it because it translates my desire and talent for helping others to achieve their goals into a sustainable career path for me. Until I landed in TD on a temp assignment, I didn’t even know it was a possibility. Since then, I’ve learned so much about the myriad ways training is used in all work environments and how we can improve it. Besides interest in helping others, I’m most excited to continue to learn how to make training more accessible in an increasingly mobile world. Mobile and eLearning are definitely the areas that are most likely to grow. Everything we do now is digital, online, or both. In order for training departments to stay relevant and up to speed with our evolving world, we have to do everything we can to keep our programs accessible. For me, working in a law firm, so much emphasis is placed on the billable hour, that whatever my team can do to make training easy and efficient is what’s most needed. For me, this translates into apps, mobile learning, and short learning modules. Training and development is an excellent field where you can positively impact your company and the lives of others. Training and Development is an important aspect of business’ and training. I have chosen to pursue a career in training and development because I have an eye for detail and I enjoy teaching others. The training and development field is constantly growing. There are always new ways to deliver trainings and there are always chances to train people with diverse backgrounds. For these reasons the field of Training and Development will continue to grow. I really started enjoying training and development when I saw the impact I had on my students. I’ve help to change the quality of their lives in many ways. To see the excitement in their eyes when they know that they can accomplish something great makes this work worth while for me. When you are training you can mold the training to fit the personalities and life styles of each individual. Everyone will come out of the sessions with different ideas and meanings that will suit their needs. The development of the various trainings will help clients to be self-aware about their goals and dreams because I can help them to see the end product. I am happy to hear that the field of training is set to increase within the coming years. In my current field, there has been a large decrease in administrators. This is especially in the state of Illinois. This is one of the reasons why I am pursuing degree in training and development. I want to have something to fall back on in the event I fill I need a new challenge or the aren’t any opportunities for me in student affairs. I have even considered venturing off to the land of consulting firms. I plan to conduct a bit of research on this industry. The concept of utilizing technology is an aspect of the field makes me a bit nervous. I’m not a tech savvy person. However, I know that it is something that I should become more familiar with as the world of technology continues to advance at a rapid pace. Therefore, I must keep up. The last portion of this article really resonated with me. Since I was a child, I’ve always wanted to assist in the development of others. Training and development wasn’t a career that I ever considered. However, I find it funny that many of my professional roles fall under this realm. What I enjoy most about a potential career in training and development is the since of autonomy it brings. I also have the option to stay in my current industry or transition to another one. What a great way to broaden my horizons and keep my options open. 2. Which specific areas of opportunity in the field of training do you feel are most likely to grow? Why? I feel that e-learning is most like to grow. About 15% of my students are currently or have taken an online course. I recall being in college and there were barely any options for online courses or to receive any communication for a class online. I can also see companies shifting more to the e-learning option for training programs. Upon reading this article, it bought me back to when I first originally thought of seeking a career as a trainer in the L&D field. I remember when I first started my degree at NIU, it felt like what do I want to with my life? I knew back then that I wanted to be an English professor at a college or University. So when I peaked into the corporate world and I found out that there was a career opportunity in the field of learning and development, I said this is for me! So I incorporated my passion for teaching at a college level into a corporate style initiative. The cool part is that I truly enjoy what I am doing and want to continue in this path of investing in people’s lives. It is truly a gift to shape other’s thoughts and shift their mindsets to think and add skill sets to their behaviors. 1. What aspects of the field of training interest you? I prosper very well in the face to face and virtual facilitation. I believe this style of training in the field interests me the most because I am with the frontline supporting them and challenging them how to fill the gaps, while understanding the ROI between the participant, the consumer base, the stakeholders, and the business as a whole…all while still being engaging and motivational. A huge part of my career is to provide feedback and receive feedback to continue to sharpen my saw and others. 2. Which specific areas of opportunity in the field of training do you feel are most likely to grow? Why? I feel that the e-learning side of the field will grow vastly over the next few years because technology is at an ultimate rise! I have recently expanded into the virtual side of facilitation by training in the adobe connect 9 room. It is a new way of providing participation while not having to travel (this is a great ROI). Another aspect of the field that I feel will expand is the development side of creating content. Because we will always need a team of consultants that can take a specific needs analysis and determine how we need to sculpt a training or workshop to improve a metric of business need. One thing I have realized about L&D is that it is can be broken into compartments while being analyzed, but the lines of those compartments generally blur in real life. There is a lot of grey area, a lot of work streams cross, trainers wear many hats. One way to look at the break down of L&D is that of 3 functions. Trainers, developers, and consultants. Most functions fall into those categories. No matter the hat you wear officially you end up doing almost all aspects at one point or another. That aspect interests me most. What aspects of the field of training interest you? When it comes to the field of training and the different training methods, what sparks my interest is the very fact that it is an ongoing and evolving space. The underlying goal, which I personally feel is very critical, is to equip your employees with necessary “tools and resources” to develop their craft and professionally grow within their organizations. What fascinates me is the fact that training programs are no longer just about conducting classroom sessions/ web conferences or sending employees to mandatory traditional conferences but it has progressed to more creative ways like training through gamification; making the sessions highly interactive, open with a lot of importance given to feedback from trainees after sessions; introducing successes of clients/ csutomers into training sessions; implementing e-learning methods and so on. Having worked in for a bit in Sales and Business Development one of the biggest lessons I have learnt and what I absolutely love is that the training process starts the first week you join any company and it is on-going! I strongly believe that on the job training along with these other innovative training session and consistent performance reviews are so essential to the ultimate success of high potential talent within any organization! For all these reasons above, I am so looking forward to learning more about this field and how to be more effective while training employees. I personally think that the use of technology in training has been growing and will continue to grow! It is an essential component and when coupled with creativity can result in some very dynamic, real time and “out of the box” training programs. Another aspect that I have seen growing is management putting more and more effort in understanding the need and demands of the employees. When I worked as a Producer for the corporate B2B events one of my annual programs were Corporate Learning and Talent Development and the last 3 years I have had the opportunity to guage with heads of Talent, Learning and Development and HR from Fortune 500 companies and it has been amazing to learn the different innovative ways they have the approached training and development piece. Most of them have felt that it happened only because they started truly listening to their employees, the needs of the business and what is really happening out there as in what other companies are doing! Hence, I feel that the 3 main areas I mentioned above has great opportunities to grow in the future. I became passionate about training and development when I realized I had the opportunity to lead others in a learning experience. The instruction they receive from me will essentially allow them to perform more efficiently in their positions. Training and development allows me to completely utilize my skills and creativity which is fulfilling for me in return. I also love the fact that you can enter this field in various sectors, i.e. healthcare or education. There are so many opportunities available in this field. Instructional design is a specific area in the field of training and development this is most likely to grow. Companies turn to instructional designers to guide them through digital learning. As we know, technology is growing and evolving at a fast pace, which in turns increases the demand for instructional designers. The aspects of training that most interest me is how it seems like you are helping employees. As part of my job, I do some side by side training employees, and I know i do my job pretty well, and I enjoy giving that information over to employees in the easiest way possible. However I didnt realize before that there are so many different avenues you can look into for training, it might be fun to try something a little different. As for which aspects of training I expect to grow, I do think all aspects are going to grow. Companies are always looking to train their employees as quickly and as efficiently as possible, and this isnt just for one type of company, or field, literally every company needs to train employees, especially with how quickly many companies seem to be changing to keep up in our world. However, a more specific aspect of training I think will grow the most is the technology aspect of it. Technology will keep changing and growing, and it will be interesting to see how trainers will incorporate technology into their training strategies. I first became interested in the training and development field after experiencing how much I enjoyed helping others reach their potential. Helping others succeed, giving them the tools needed to succeed, and just being there to listen and guide them along their career journey is what really drew me in to this field. Something about helping others not only made me feel good about myself, but also inspired me to learn as much as I can to be the best me possible. As employees are asked to do more and more work, and at the rate that technology continues to advance, so will the need for training and developing those employees to meet the growing needs of business. For that reason alone I believe the entire field will continue growing. Whether that translates into internal or external opportunities is really the question I am interested in hearing what others believe it will be – internal or external? What interested me about the field of Training and Development is that I believe that it’s a gateway into the industry. I think as a trainer, you are learning firsthand the Organizational as well as the HR strategy that are needed in order to align the appropriate tools and needs of resources. The areas of opportunity in the field of training and development that I feel are most like to grow I believe would be elearning. In my professional experience, it appears that many organizations are gravitating towards this form of training because employees can do at their leisure, it’s cost effective, and it’s constantly evolving.
. What aspects of the field of training interest you? I am most interested in the creation of training programs and tools. I would like to design a variety of programs that will meet the needs of people with differing learning styles. I believe strongly in providing people with proper tools for success. if person isn’t trained in a way that helps them to fully understand what they need to know in order to do job, it is unfair to hold them accountable when they don’t do well. Proper training is key and, on every job I’ve had over the past decade or two, I have tried to add something to the training model that will help fill any voids I observed. E-learning and other forms of unconventional learning will continue to grow. People are so busy that it is becoming more difficult to tie them down to a classroom and a desk. The option to learn and develop skills on one’s own time is going to continue to increase in popularity and will likely become more common than the traditional classroom setting. I am interested in the training and development programs for the employees. Training is a program that help employees to learn specific knowledge or skills to improve performance in their current roles. The training will give the employee a greater understanding of their responsibilities within their role, and in turn build their confidence. The investment in training that a company makes shows employees that they are valued. The training creates a supportive workplace environment. Employees may gain access to training they wouldn’t have otherwise known about or sought out themselves. Employees who feel appreciated and challenged through training opportunities may feel more satisfied toward their jobs. Most employees will have some weaknesses in their workplace skills. According to me, the specific areas of opportunity in the field of training that are most likely to grow is development training programs. A training program allows you to strengthen those skills that each employee needs to improve. A development program brings all employees to a higher level so they all have similar skills and knowledge. This helps to reduce any weak links within the company who rely heavily on others to complete basic work tasks. Providing the necessary training creates an overall knowledgeable staff who can take over for one another as needed, work on teams or work independently without constant help and supervision from others. A robust training and development program ensures that employees have a consistent experience and background knowledge. The consistency is particularly relevant for the company’s basic policies and procedures. All employees need to be aware of the expectations and procedures within the company. Increased efficiencies in processes results in financial gain for the company. Ongoing training and up skilling of the workforce can encourage creativity. New ideas can be formed as a direct result of training and development. The aspects of the field of training that interests me would have to be the creative outlook. Creativity is a crucial component to any field because its brings new ideas, concepts, etc., to businesses to further enhance them tremendously. Every person thinks differently than the next which means there is an unlimited pool of ideas that can be utilized to create training techniques that would help the company as well as their workers succeed. Another field of training that interests me is helping others grow. Growth is very important because it shows that you are learning, and actually using what you learned to achieve greatness in your respective career. Everyone want wants to be the best version of themselves, so being able to help someone reach that goal is a great feeling. Instilling knowledge you have acquired through years of trials and tribulations can help steer someone down the right track when they at a crossroad in their life. Being the one to safely navigate them towards reaching their dreams while giving them the tools to even reach further than what they ever thought possible resonates deep with me. I like helping people become their best self, and I would want who I Instilled the knowledge I attained to do the same with someone else they wanted to help grow. The specific area of opportunity that I feel is mostly likely to grow is technology. The world has seen many advancements when it comes to technology, and I believe that these advancements will find themselves being utilized more within training and development. The use of such technology would potentially allow for a company to better relate to their employees, while also providing the foundation for a company to become more productive. Technology would allow one to explore many more possibilities. The aspects of the field of training that interest me is the fact that the skills required can be used in almost any industry. Fortune 500 companies, education, government, health care or non-profit jobs. The different things you can learn if you worked at any one of these jobs would build your resume and make you valuable to any company that hires you. You get to re-invent yourself over and over you can start your career working in education and then turn to a non-profit program. I believe the area in the field of technology will continue to grow. Technology is timeless, there will always be a new advancement in technology industry. Technology will forever evolve in so much more that they will need a lot of workers working in that field. The creativity factor plays a big part in creating new programs in the technology field to better companies and the way they operate. The aspects the interests me regarding the field of training would be the creativity. Creativity from different people with different backgrounds is a great way to get the juices flowing. Creativity is everywhere and in everything. Creativity is a new way to start new programs and sometimes people come up with the same ideas but some people may think of different ways to create something new or add on to an idea. I would also say that creativity would be the major thing to grow within the field. Creativity will never grow old it will always be used especially creating new programs to make a company run smoothly. Some companies may use old training techniques but most companies hire training specialists to come in and help the company become a newer and more better company. I believe training and development is important to all organizations. To begin, the aspects of training that interest me are facilitating training programs as well as developing and implementing programs. I currently work as a recruitment manager and as I train new employees I have learned that people do not process information in the matter and everyone’s learning curve is different. I enjoy changing people’s lives and I have always been fascinated with education but I don’t want to be a teacher. Specializing in training will allow me to help people as well as support with performance within an organization. I think the area of training that is most likely to grow is the area of development. Development specialist, managers, & designers have a chance to change processes and utilize technologies to promote growth within organizations which will lead to the growth of the organization itself. Change is evident in the business world. Keeping up with new technologies and the way people move in this world will be important in any organization and having a role in the training field is definitely a promising opportunity. The one aspect of training that interests me the most is having a direct impact on employees’ career growth. When I was a trainer for my internship, I worked with thousands of employees. I enjoyed knowing that some of their training for their new jobs came from me. Another part of training that interests me is anti-harassment and discrimination avoidance. In todays society, it is important that these messages are strictly conveyed to new employees. In the field of training, I think e-learning is something that has been growing, but will continue to grow. While doing my internship, there was a part of the training class I taught, where the employees would do learning activities on tablets. I have also experienced doing online training with other jobs I have done in the past. I think that e-learning gives employers more opportunities to train their employees on things that can be learned outside of the classroom. People today are also accustomed to using technology, so I feel that they will retain more information. To begin, the aspects of the T & D field that interests me would be creating new programs/solutions to help improve the performance and knowledge of employees. I enjoy seeing people learn new things and achieve their work or career goals. Therefore, by creating programs designed for a particular job/company, employees can get better acquainted with their position and what it requires. This will help to increase one’s job performance, income, and overall self satisfaction. Moreover, I feel that I would most likely grow in the area of technology relating to the T & D field. Technology is consistently changing and becoming more advanced. Not to mention, many jobs today are using technology as a way to train and keep employees up-to-date with new information regarding the company. Thus, I feel that I have the motivation, determination, passion, creativity and energy to help employees and companies progress in this field. If people know how to use technology to learn and grow then they will be successful in many of their career/professional endeavors. I think the aspect most likely to expand in the future of training and development is technology training. New software is being developed all the time for businesses, and teaching entire workforces to use a new application or program to do their job is a big undertaking. Many of the programs we use at my work seem to be grandfathered in because the oider employees and the development team know the software so well. So when a company does make that switch over it is imperative that the employees understand how to use the new programs correctly and thoroughly. I am personally interested in training employers to make sustainable updates and upgrades to as many aspects of their company as possible. Whether those are major building changes like a closed system a/c or solar panels, to little things like recycling initiatives and digitizing processes to reduce paper waste, every company can stand to be a little more environmentally friendly (and save some money in the process). The aspects of the field of training and development that interest me include seeing other individuals in the organization grow in their own professional journeys. Another thing that interests me, and something that I have seen in action is when individuals realize that they all have different levels of emotional intelligence and personalities that will affect the way that they work with each other. When I went through leadership training with my organization there was a huge emphasis on the DISC profile,which incorporates different learning styles that affect the way individuals work with each other. There are those who are dominant, influential, conscientious, and steady in their methods of communication. It was interesting to see how individuals attempted to be more conscientious about the way they worked with individuals based on what there scores were based on this test. It helped create a more cohesive workplace for a while. The areas of opportunity I see growing in the field of training include e-learining especially. I see training modules needing to be completed throughout organizations more often than in the past due to the easy accessibility to it and advancements in technology. It also allows professionals to complete said modules on their own time throughout their busy work day. I see a lot of tuition reimbursement options and encouragement to go back to school present in organizations as well. It goes to show that many organizations encourage this so that individuals can go on management tracks and grow within their organizations. The number one thing that draws me to the field of training is the idea of helping others with their own growth. I am a huge advocated for personal and professional growth and development, and am constantly looking for ways to improve myself and ways I can better myself because I always want to feel I am being the best version of myself. Being in the field of training, it gives you the opportunity to help instill that notion in others and see how the light goes off in them when they start to “catch the bug” for growth and development. Seeing the satisfaction they feel when they notice how much they have improved in an area that was an opportunity area for them is so fulfilling. One specific area that is already beginning to grow and will probably only continue to grow is innovation in forms of training available to employers and employees. Training programs have to constantly shift and change to fit the feel and culture that companies are trying to foster within their offices and spaces. This is one area that, I believe, will always grow and change because people change and industries change. Even if the heart of an industry stays the same, it constantly modernizes to fit what the world around it needs. Training and development are continuous process rather dramatic change. It has analysis, design, development, deliver-implementation and evaluation stages. Overall this system requires and challenges being a creativity and seeking more efficient way in each process. If trainers could be more creative than learners that training obviously more interesting and applicable for the targeted learners. Especially nowadays, this aspect become major role due to rapid growing high technologies (AI, www, mobile devices, rise in social media and other open sources), increased globalization and generation shifts. Therefore T&D practitioners need to be awakened with external factors and step ahead competencies. In training process, requires us to learn and develop continuously. It sharpens our competencies by many ways. This challenges us opportunities to get experience new technologies and match the appropriate technology to a specific learning method. Also needs connecting different cultures and collaborations through by different sources. Leveraging new styles and preferences of new generations and learners. In business industry, I expect from this process it results business skills, global mindset, industry knowledge, interpersonal skills, technology literacy. That’s the most beneficial part of T&D field. I’m interested in the idea of flexibility and ongoing growth that’s meaningful. All too often have I sat through a staff meeting that feels long and dragged out, without purpose and direction. A team is only as strong as their weakest link and I think that if there’s a designated group of leaders who can cultivate a culture of active development amongst everybody, the results will show efficiency and an ongoing sense of driven passion. The idea that one can completely revamp existing methods for the sake of betterment and rejuvenation is particularly appealing. I like to think that this program and field of study provides a cathartic experience for people who want to create or influence change, but need to develop the skills and resources to do so. I think that the area I’ll grow the most is in instructional design. As an early career educator, I’m still practicing developing lessons that hit the objectives, but also stay true to my “brand” of teaching and what I want to personally accomplish in the classroom. To be more purposeful and aware of how people learn and adapt to classrooms would help me be more considerate when working with other teams to develop curriculum and when I deliver the work that’s been completed. Because it is something that’s so closely tied to what I do on a daily basis, I feel that this will be more of a personal goal that happens to tie in with a facet of the world of training and development. The aspects of the field of training that interests me is being able to take the information that I’m learning in my HR Discipline on employee engagement, employee relations and work-life integration to create a series of training sessions to be facilitated at my organization. I would also like to share this information with other non-profits that don’t have the resources or trained staff to bring this knowledge to their employee base. I am also interested in using some of the information I’m learning in the ASTD handbook on how training impacts the way people receive and learn information so that I am modeling healthy behavior as a “learning leader” and thought partner in the training space. I also think the areas that are most likely to grow in the field of training are e-learning opportunities and fast track training modules for C-Suite professionals. In the fast paced world that we live in now, everyone is connected to a mobile device, cell phones, tablets, laptops, etc. and more people are looking for ways to obtain training and knowledge without having to go to a seminar or sit in a classroom. E-learning is also popular for work environments where employees work a lot of overtime and don’t necessarily have the time to attend a training. People are working longer hours and this is definitely a more convenient option for folks to take advantage of. C-Suite Executives are in the similar position of having busy schedules and having little to no time available for training. Because a lot of individuals are being hired and promoted into these roles without a lot of experience and essential management tools, fast track modules allow those folks to obtain the resources they need, but at a high level of advanced training. There have been a lot of advancements in the technology and training space and I’m excited to see the future developments that will come out of this space in the coming years ahead. The aspect of training that I enjoy the most is the creative part of training and development. The fact that we can use multiple different techniques in order to teach several individuals how to perform a task and understand new content. While at the same time helping others grow and learn more about themselves. Helping individuals discover unique skills that they acquire in order to succeed within their roles/careers is what I truly admire about training. Furthermore, I also love the aspect of psychology and Human Resources being brought into one to develop training techniques. It is so interesting how training and development has advanced with the help of psychology. The fact that in order to train individuals we have to understand humans first is brilliant. I think its amazing how training has developed and improved into what it is now. However, technology is another aspect of training that will continue to have a huge impact on training and development and various new training techniques. The aspects of training and development that interest me are helping make an impact on not only the people your’re training but also that company you work for or contracted to and also being about to to connect with your trainees in a new and creative way. With training and development, there’s something new to learn on both sides and it’s a real eye opener to see how people think and process things differently. I think this field has an opportunity to grow in areas such as creativity and technology, which can always go hand and hand. We live in a time where technology is a huge part in our day to day lives and to incorporate that into our training in a more advance way can really push this industry in an upward path. And being creative with the connection of the technology, the people and the job itself will benefit everyone at the end of the day. Trainees will be more in-tuned with the job and feel confident in what they are doing which is always good for companies who hired them. Personally, the aspects of training and development give me the satisfaction that I take part in helping individuals grow. It is rewarding to bring out the full potential of people, especially if they have no idea they had it. Back when I held retail jobs, I would end up being training leaders for the departments I was working in. Not only did I help others grow within the company, but I’ve learned a lot dealing with all kinds of people. It allows me to become relatable with real-life experiences. Help training and developing people is a win-win situation. In today’s world, everything we do revolves around technology. The advancement seems unreal but necessary for training and development. Powerpoints, videos (Youtube), VR are just a few ways to help train. By experience, the attention span for new trainees is short and technology is a relatable topic for mostly everyone. The reason I enjoy training and find it interesting is that it gives me the ability to contribute to the success of others and I can continue to learn and grow while developing the training plan. It is important to ones career to remain competitive and effective at your job in order to do that you need up to date skills and knowledge. Companies need to invest in their number one asset, the employee, to be competitive and retain and attract top talent. I think change management will continue to grow. As technology advances, processes change, and the constant pressure from competitors companies will have to provide the necessary training and development to their workers to be successful and profitable. I completely agree that companies need to invest in their number one asset. With the advancement in technology, productivity will definitely increase profit for companies. Training will become easier and quicker for companies to utilize. The scary part is that it forces everyone to stay relevant to technology. Companies would have to reinvest in their “older” employees. Training will not only be for newcomers but for current employees as well. What interested me in the TD field was instructional design. I’ve alwahs loved working with computer programs and creating different things for myself and others. I also am interested because I want to make the workplace better. I want to be able to give people the tools they need to be successful and grow. Speaking of growth, I feel one can really grow in the area of instructional design simply because there are no bounds to creativity. I also hope to grow professionally and gain enough courage to pursue consulting. The aspects of the field training that best interest me are the giving back to the employees. I believe training and the proper resources being available to train are the most important part of being trained. I also would enjoy the mobility, being my own boss, owning my own business in something that I enjoy and can share with others would be the best feeling in the world. I have worked for companies that provide very little training. I am naturally helpful, resourceful and want to learn. If an employee wants to advance but has no support an employee feels burned out and cannot see themselves being productive if they are being taken for granted. No training means low productivity which means little revenue for the company. The area in training that I feel will grow is the consulting field. Consulting to me means owning your own business and have the freedom to travel and provide the best training and development program and services available. I currently work for a company where superintendents and managers above me think that yelling at laborers will increase productivity. I spend more time talking to my laborers about positive encouragement and how to better themselves so that they DON’T get yelled at. This job is partly the reason why I want to train others in ways that will help them improve and as for my managers, they part of the “Do not try this method” category. This article is great and just goes to show how the Human Resources field and opportunities are growing. This is one of the reasons that I decided to steer my career in this direction. I am currently pursuing my Master’s in Human Resource Management; however, Training and Development is my ultimate destination career-wise. Training and Development combine two things that I really enjoy and that is sharing knowledge and helping others meet their goals. Most employers don’t offer enough training and development internally. Most employers would rather hire new people than improve or invest in current staff. Simple changes or tools can assist a struggling employee and transform them into someone ready for promotion. Defining key skills needed for advancement in a position and train accordingly or offer new opportunities to gain skills. Being able to design and direct the aforementioned process is where my interest lies. Another goal of mine has been to become a consultant in the education field as well as provide online learning assistance. The aspects of training and development that interest me is the actual creation and presentation of the programs. I have a true passion for education, so being able to effectively create material that would in return help to develop a person’s skills is key. As a salesperson I believe training is the very important. In order to sale a product, service or anything for that matter you have to understand the benefits and be able to properly communicate it to the public. I am excited to learn more about this field, so in return I can share these experiences. I believe e-learning/development is a growing training field due to the constant changes and advancements within technology. Many companies and schools are relying on more on virtual training rather than the standard teaching/training methods. E-learning not only provides a way to reach a large audience but it also could be very cost-effective solution. To begin, the aspects of the field of training that interest me are the fact that I can be creative with creating training programs and making an impact on people’s lives. Creating opportunities for people is absolutely transformational, it can change not only their work life but their personal life as well. Having a background in Psychology really helps me to not only understand individuals but also helps me to understand how different personalities mesh in a team and I am looking to grow that and further learn more about people and how they act as individuals and in a team. Secondly, creativity is definitely one area I would like to grow in the field of training. There is a certain type of creativity that goes into programs for multiple people who bring a lot to the table. I would love to grow and learn on how to cater to all personalities and people when it comes to learning and also to training. Knowing that each person learns differently I feel is an important aspect when it comes to training, doing things multiple ways can relate to many people at one time. Also, making sure I stay up to date on the latest technology and practices is something that I will continue to learn, grow and adapt with as I enter the training and development field.